Two much stress can have a negative effect on your health, yet one study found 10 percent of adults do nothing to manage the pressures of their daily lives. Health issues brought on by stress can include high blood pressure, headaches and insomnia - just to name a few. So where do you turn if you need help? Now, some physicians are choosing to specialize in stress management and their prescriptions go being something you'd pick up at a local pharmacy. For Leah Grossman, living in a new town is stressful. "I was feeling like I was being strangled and drowning," Grossman said. To get back above water, she went to see a physician - one who specializes in stress management. "She did some meditation with me in the office the first visit. She suggested I attend a Tai Chi class," Grossman said. Like Leah, 42 percent of adults say their stress level has gone up in the past five years, and doctors are taking notice. "Stress is implicated, and can exacerbate a number of medical conditions all the way from a common cold to a heart attack," Dr. Aditi Nerurkar said. Nerurkar has a stress management practice. Her goal when she sees an ailing patient? "Take a step back and zoom out and look at the patient as a whole and address their stress as it affects their entire being, rather than a particular body system," Nerurkar said. 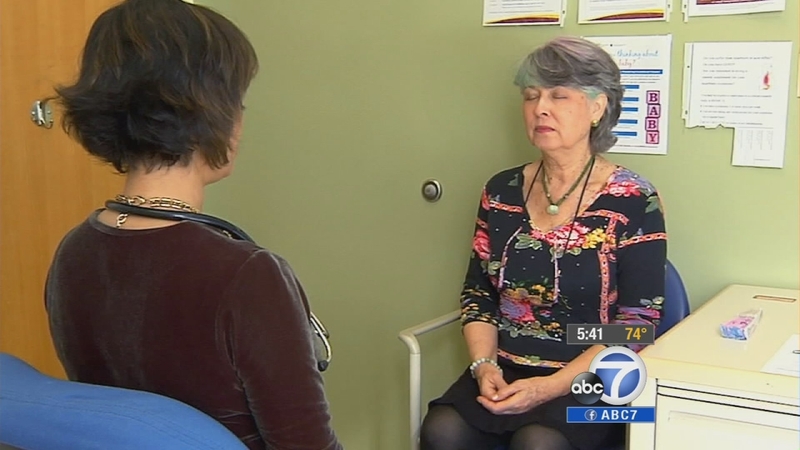 Integrative medicine experts say the practice of looking at the whole picture is catching on. "Stress in our current society is really an epidemic if you think about it. So, more doctors do seem to be incorporating stress management into their practices. There is a growing demand also from patients," Dr. Adam Perlman said. He also works with people to reduce the pressures they feel in everyday life. Doctors agree there is no one anti-stress solution for all patients and when you see a doctor for stress, of course they treat your body as well as your mind. "My approach in managing stress is that it's a piece of the larger puzzle of someone's medical condition. So while I teach meditation I do not think that meditation can replace medication," Nerurkar said. Nerurkar gives each patient she sees a stress score. When Grossman first came in, hers was 22. Now, she's down to 15. "I feel more grounded, I feel more in charge. I feel like I'm back on the road to being myself," Grossman said. Nerurkar says the five elements of stress reduction she addresses with patients are: sleep, diet, exercise, social support and meditation. But, she points out having some stress in your life can be a good thing. It can motivate you to be productive and take on challenges.